Elements, a BlockChain based Rewards cryptocurrency, significantly reduces merchant's costly liability of their loyalty programs by allowing them to mine the currency. Quant Systems Inc is an advisory and IT solutions firm has decided to adopt Elements (ELM) crypto currency to build block chain applications to support rewards industry. Quant’s Fintech practice was launched 6 months ago and has been helping clients with ICO consulting and building block chain applications. Quant has decided to back elements by being the first technology company to build applications to support the adoption of “Elements” – a newly launched interoperable loyalty & rewards currency across the world. Elements (ELM) crypto currency has one of most practical value proposition set to create disruption in the multi-billion dollar reward industry. Quant will support and drive the development of technology required for adoption of Elements (ELM) linked to optimize the loyalty rewards ecosystem currently in existence. Quant will be offering products and integration services to organizations which are adopting the currency. Quant is releasing first commercial crypto wallet which can store elements and other popular crypto currencies. The wallets will be available on both google play store and apple store for Android and iOS respectively by the end of November. Apart from the wallets, open API’s to interact with the Elements (ELM) block chain, payment gateway and other loyalty applications are being build to support the elements echo system. 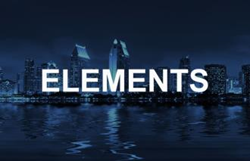 Elements (ELM) is a digital currency based on Blockchain technology with X11 Algo(Digishield) and works on Proof of Work (POW). The blocks are generated by POW technology. Elements will provide a global, interoperable, digital currency within the rewards & loyalty eco-system with an unrivalled value proposition.